Aja West and company return with eight new slabs of sweet funked-up instrumental jazz, more emphasis on the latter than the former this time, apparently a tribute to the late Antonio Carlos Jobim consisting of all original material. The eight tracks are alive with sassy Latin-tinged grooves and beats, melodies carried by trumpets, trombone, saxes, flute, and vibraphone, underscored by multi-electric pianos, guitars, a bit of synth, and a supremely tight rhythm section flanked by additional percussionists; fifteen players in all have a hand in this, although the compositions are all the work of multi-instrumentalist/conductor/producer West, with some collaboration with bassist/saxophonist Gould Effect and saxophonist Skerik (Critters Buggin/Les Claypool). Occasionally things get back to a heavier funk sound a-la Herbie Hancock, familiar to those who know some of the previous Mackrosoft releases, as heard on “Hold Up” or disc opener “The Immortality Project”. 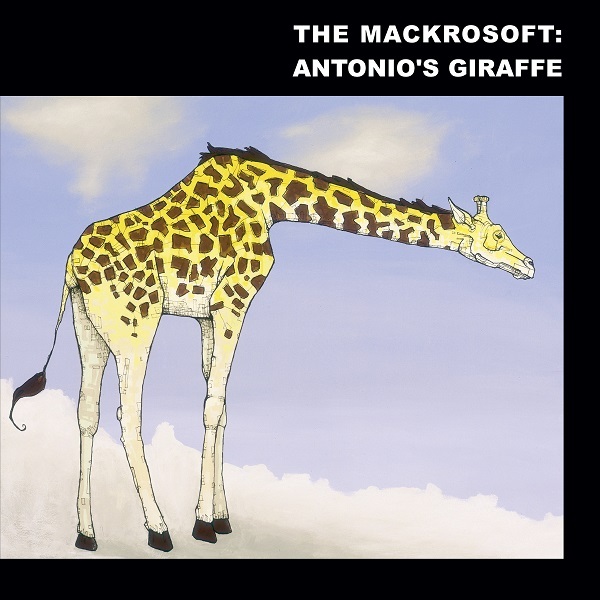 Overall though, the Latin rhythms and brassier sound make this a welcome step in a slightly new direction for the Mackrosoft, and the greater attention to arrangements and production make this the most satisfying album by these guys to date. Fans of Hancock, Steely Dan, Weather Report, and even Jobim himself would do well to investigate.